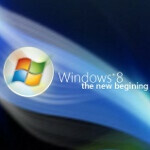 It is looking more and more like Windows 8 may be the backbone of Windows Phone 8 as well. So far, Windows CE has been the kernel on which WP7 runs, but the rumors have been ramping up about a switch since Windows 8 was ported to the ARM architecture for upcoming Windows tablets. The rumors are picking up now that Tom Hounsell has uncovered code in the recently leaked build of Windows 8 that refers to the handling of SMS. Of course, it is possible that this just means that upcoming Windows tablets will have SMS capability, but it seems more and more likely that Microsoft would want to update the kernel of their new smartphone OS. WP7 runs on the Windows CE 6 kernel which was originally released at the end of 2006, and so could definitely use an overall. Plus, it makes sense that Microsoft would want to have one OS to run on every device, just like Google has planned with Android (with the minor caveat of Chrome OS). What do you guys think? Will WP8 get the same kernel as Windows 8? I definitely think Microsoft is planning to unify their os. Same os in every device with similar but slightly differing functionality and the ability to transfer content seamlessly between all devices is something that would be a gamechanger. Apple has slightly tried this but not to this degree. I think this would be a major push for WP. gotta figure it will since they would be able to switch apps/music/video/pics/games between phone/pc/tablet/xbox.. would be great to have the ability to link the media\tools purchased used and share between devices..